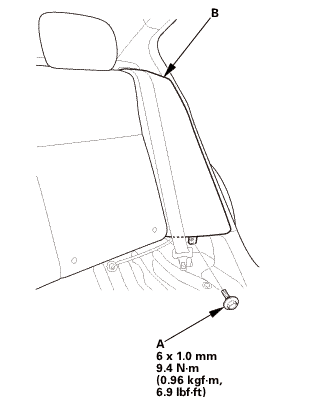 Release the hooks, then remove the rear panel cap (A). 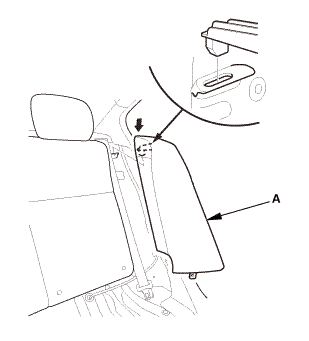 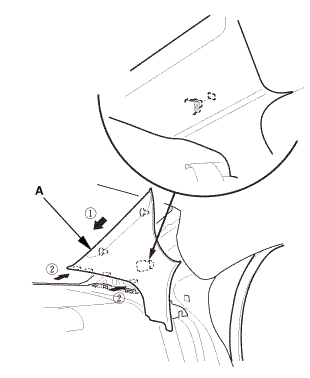 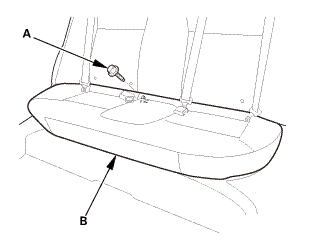 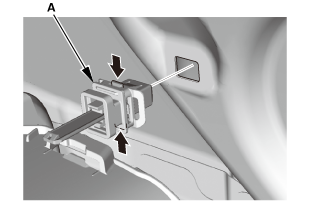 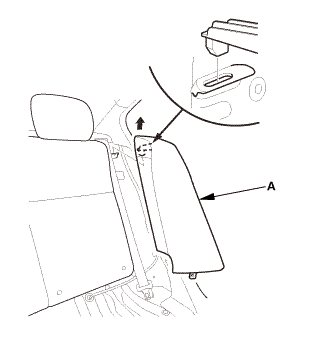 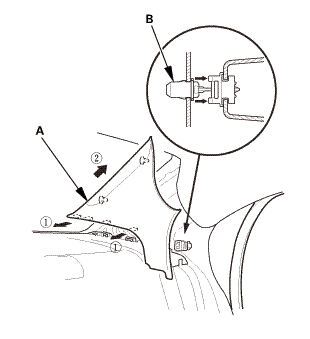 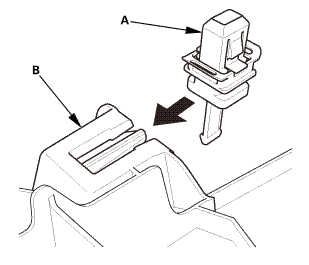 Slightly loosen the trunk lid hinge bolts (B) and the striker bolts (C). 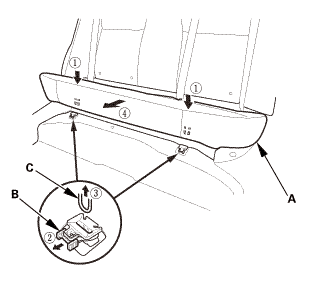 Adjust the trunk lid hinges (E) right and left, as well as forward and rearward, by using the elongated holes. 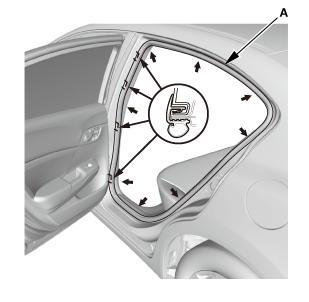 Take care not to hit the rear window when loosening the bolts. 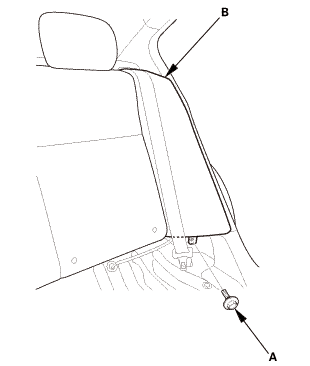 Turn the trunk lid edge cushions (F), in or out as necessary, to make the trunk lid fit flush with the body at the rear and side edges. 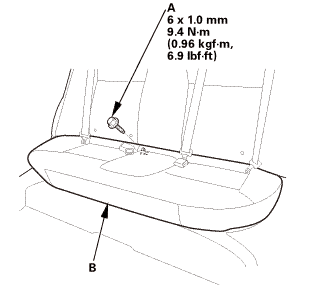 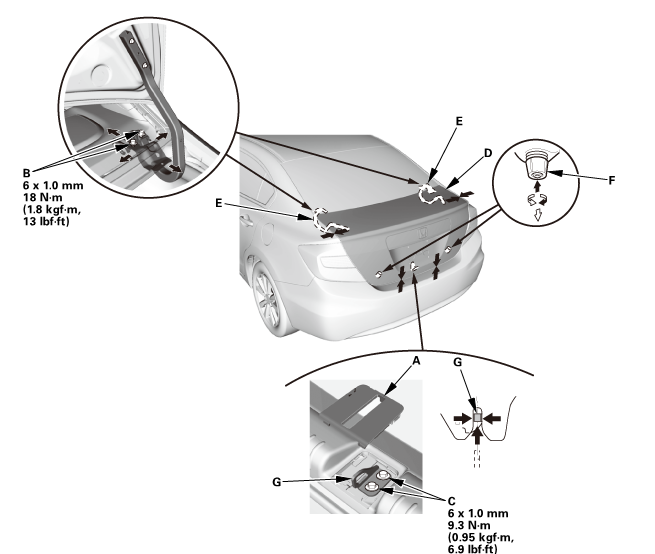 Adjust the fit between the trunk lid and the trunk lid opening by moving the striker (G). 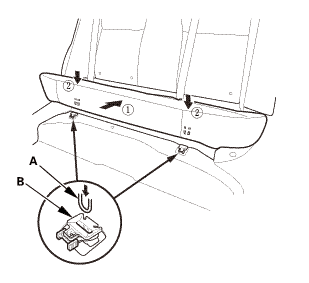 Make sure the trunk lid opens properly and locks securely.